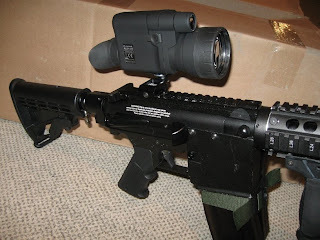 You'd think, with all of the first-person shooting sports videos posted on YouTube, that RIS mounts for standard digital cameras would be all over the place by now. But that's not the case. 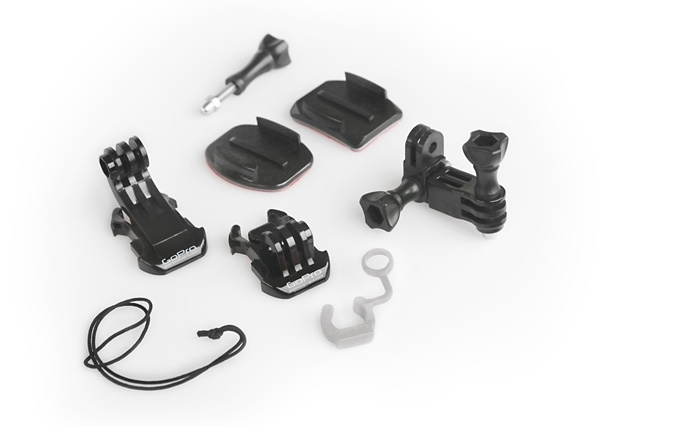 Even with the GoPro, the state-of-the-art tech for recording action sports, an option for a weapon mount is curiously left out of their mounts lineup (pictured above). After scouring the Internet high and low, I found one reasonably-priced mount that didn't quite fit the bill. It actually provides a socket to plug in the male end of a standard camera tripod, but what's needed is a similar mount with a post to mount your camera onto. Of course with some sawing down of a 1/4 inch bolt, you could probably mod this piece so that a post sticks out of the socket to mount your standard camera onto, but it could be very frustrating. 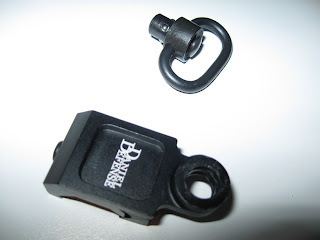 You'd have no way of making sure the camera would line up straight with the front of the mount when you screwed it on, and there would be no way of tightening it so that it couldn't come loose. 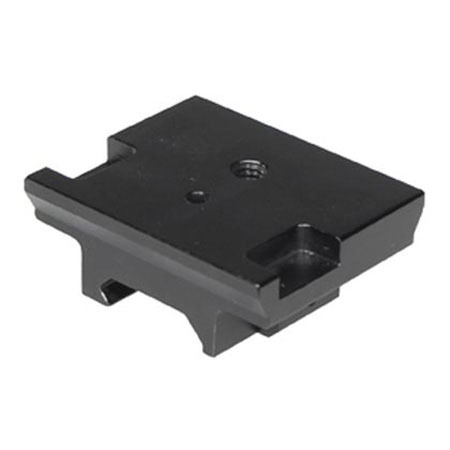 RAP4 offers an option for mounting a camera to RIS rails, called the Land Warrior system, but the mount suits that one specific camera, which might not be what you want to use. However, through the use of good ol' Canadian ingenuity and brain-wracking, I've come up with what I feel is a suitable, and most importantly CHEAP way to mount a digital camera with a standard socket to an RIS sytem. After receiving this piece, I went to Home Depot and picked up various nuts and bolts to try out different combos for the mount. For trial-and-error purposes I spent about $2 CDN on these, and found it to be overkill. 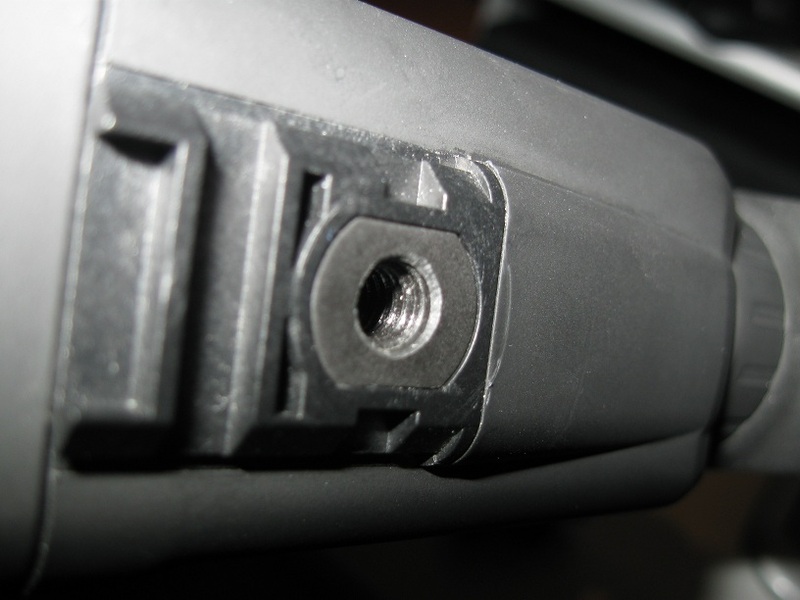 You can actually spend about $1 on 1 x 1/4-inch bolt (1 inch in length), 1 x 1/4 inch bolt (3/4 inch in length), 2 x 1/4-inch hex nuts, and 3 x 1/4-inch wide washers for spacing. 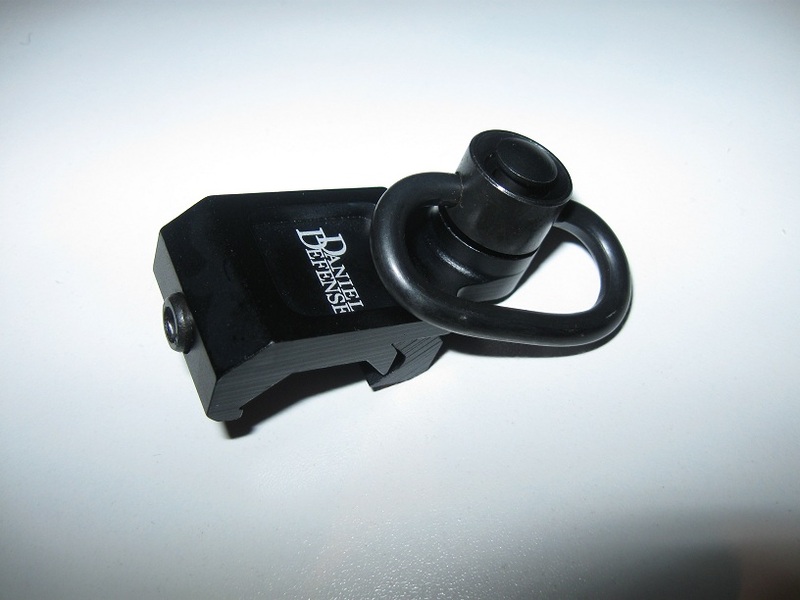 This allows for different combinations that should allow any camera on the market with a standard socket to be fitted to this mount. Different models of camera will have different socket depths, and you may need to play around with nut/bolt/washer combinations to suit each individual one. And as for the GoPro, Paintballers wishing to mount theirs on their gun don't have to fool around with duct tape, straps, or mounts made in shop class anymore. All you'd have to do is buy the GoPro's Tripod Mount for under $10 USD, and mount it as I described above. 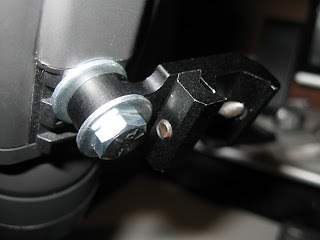 Have your own ideas for mounting cameras to your markers? Let others know in our comments section below, or better yet in the Grey Ops Forums so that others can search and find your tips in the future!